Browse: Home / sRDI – Shellcode Reflective DLL Injector. 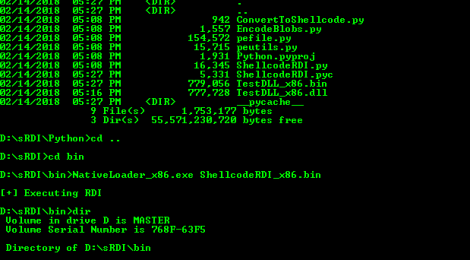 sRDI – Shellcode Reflective DLL Injector. sRDI is a Shellcode implementation of Reflective DLL Injection. 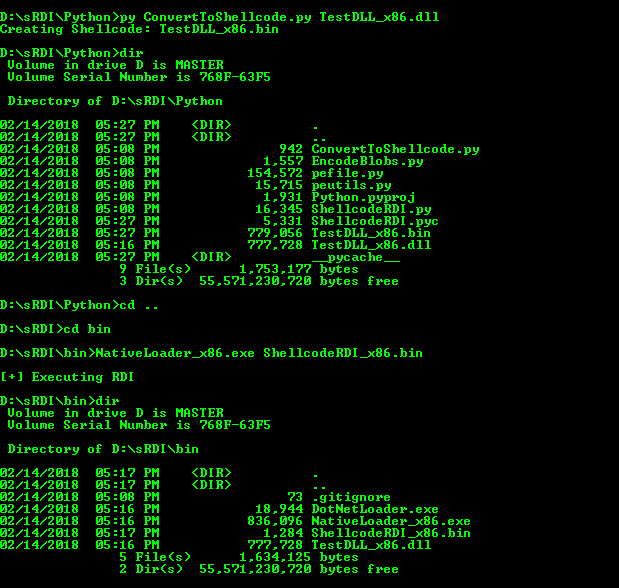 Convert DLLs to position independent shellcode. 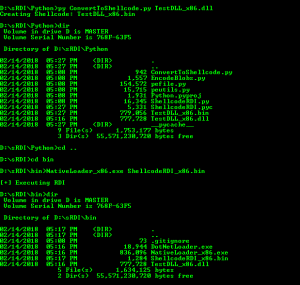 sRDI allows for the conversion of DLL files to position independent shellcode. This project is built using Visual Studio 2015 (v140) and Windows SDK 8.1. The python script is written using Python 3. The DLL does not need to be compiled with RDI, however the technique is cross compatiable. ← Vindicate An LLMNR/NBNS/mDNS Spoofing Detection Toolkit.